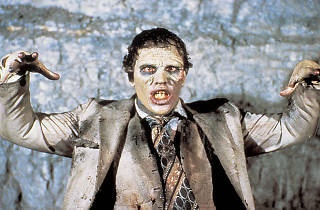 The final instalment in Romero's Living Dead trilogy somehow failed to replicate the impact of Night of the Living Dead (1968) or Dawn of the Dead (1978), although not through any fault of its own. Some months after their emergence, the zombies are everywhere in the ascendant. A depleting scientific research team conducts experiments on captured zombies in a cavernous Florida bunker under increasingly despotic military protection. There's no radio contact with the outside world, and the pressure is taking its toll: the soldiers are impatient for results that Dr Logan's social conditioning tests just aren't going to meet. Tense rather than terrifying, and with a strong black comic undercurrent, it rests on the mordant observation that zombies or no zombies, chances are the living will tear each other apart. A fitting conclusion to a remarkably astute series, a landmark in the horror genre. 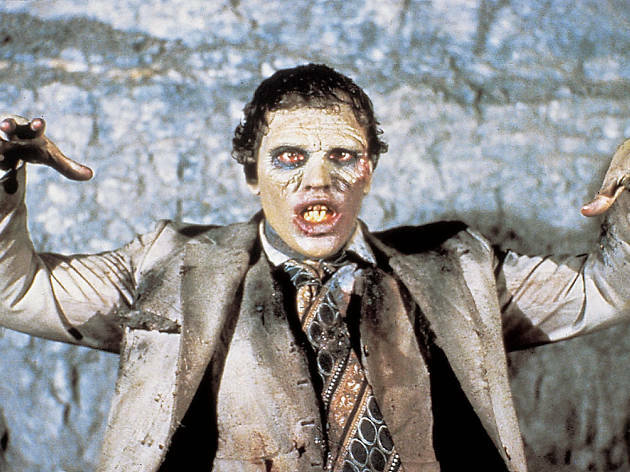 One of the scariest zombie films ever, pure gruesome for the 80s!